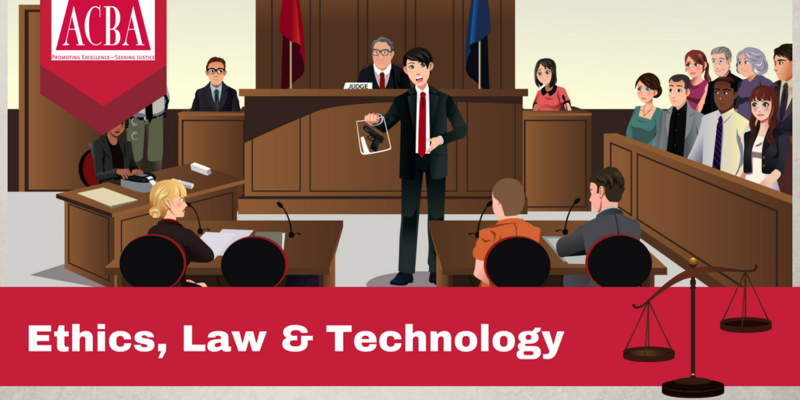 In today's world, every attorney should understand the dos and don’ts of using technology in the courtroom, the huge impact it can have on juries and the risks (including malpractice) of trying cases the old fashioned way. Join us to learn the most effective ways to engage jaded juries and judges and how to get the best bang for your buck when it comes to using courtroom technology. Please note: there will be a $10 administrative fee if you cannot make the program, and do not cancel in advance. A $10 fee will also be assessed for day-of and walk-in registrations. Starting from a background in engineering, technology, and a dot-com web development and marketing experience, Ted Brooks began his trial presentation, litigation support and consulting career in-house with Brobeck, an Amlaw 100 firm of nearly 1000 attorneys. This in-house law firm experience helps bridge the gap often encountered when attorneys work with outside consultants and experts. He founded his trial tech company in 2002, and since, Ted and his firm have won many awards over the years, including The Recorder's Best Trial Presentation Provider 2012, 2013, 2015, 2016; and Most Innovative Use of Technology in Trial (2003).